Gonsalves & Kozachenko and its staff proudly support the local community here in Fremont and the Bay Area. Here are some of the organizations and initiatives we support. If you are looking to volunteer or donate to help make a difference in someone's life, please consider supporting one of these organizations. 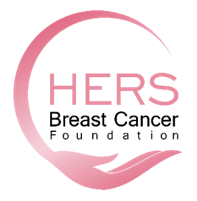 HERS Breast Cancer Foundation, a 501(c)(3) organization, believes in restoring beauty and dignity to breast cancer survivors at an extremely vulnerable time of their lives. Every day HERS brings hope, empowerment, renewal, and support, because every woman deserves to look and feel whole. Nicholas Kozachenko is the current President & Chair of the HERS Breast Cancer Foundation and has been on the Board since 2015. HERS' next major event is its annual Walk/Run, which will be held on September 30, 2017 at Quarry Lakes Regional Park in Fremont, California. The event starts at 8:00 am. Click here for more information. Established in 1983, the Washington Hospital Healthcare Foundation is a 501(c) (3) non-profit corporation created to serve as a guardian of gifts and bequests to the Washington Hospital Healthcare System. It is designed to enhance the Healthcare System by increasing public awareness and by providing financial support. Through generous contributions from companies and individuals, the Foundation has funded many important projects. Linda Gonsalves is a former trustee and member of the executive committee. The Foundation's next major event is its annual Top Hat dinner, dance and fundraiser, which will be held in October 2017. Cathy Kozachenko served for several years on Abode's breakfast committee, which puts on Abode's annual fundraising breakfast.